I have been lucky enough to have been testing the Graco Nautilus Group1-2-3 Carseat, so I thought I would do a summary type review of all aspects! My 2 year old toddler, ‘Legs’ as he is known to us, has been the guinea pig sat in the chair, so here goes – review a go-go! Once the box had arrived and was opened, it was a very simple setting up procedure, a couple of clicks and we were ready to go! If you have read my previous ‘Forced Post’ you will know that I had to clean the covers of the chair, and it all went very well! We haven’t had a problem with the chair whilst travelling, it is comfy, secure and loved by Legs! 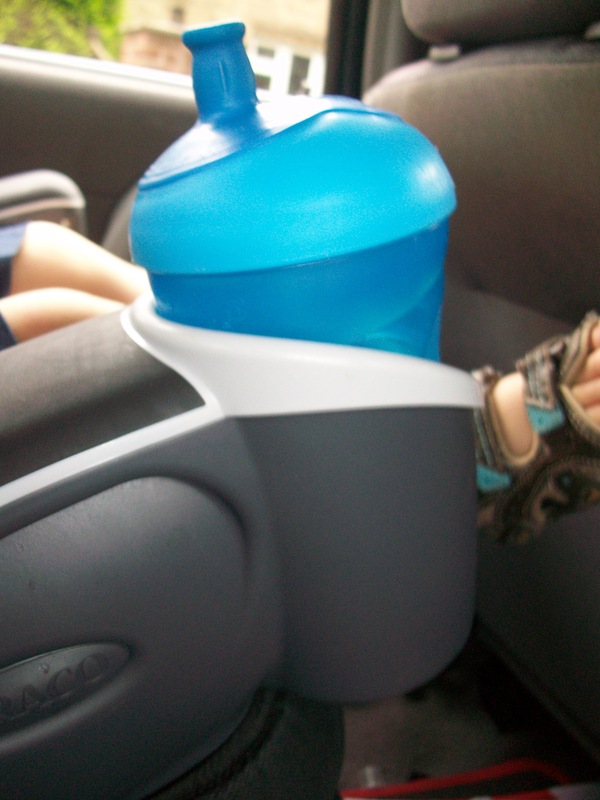 Cup Holder – Winner, Legs was most impressed with the cup holder when the chair arrived and still is! It has held cups, food, sunglasses and even Timmy the sheep has sat in it for a ride! Thumbs up all round from Mummy, Daddy and Legs! Now this is going to be a very short review, mainly because it wasn’t something I was going to blog about until I was forced into dealing with a situation which gave me an opportunity to talk about it! Sunday was a beautiful day, as a family we went to Rutland Water and played in the sun, ate lots of good (and some naughty) food and generally had a fabby time! The journey home was not so great, unfortunately the food, the excitement, the heat and the traveling all added up to one thing – a poorly little boy and an expelling of the aforementioned food! This inevitably led to us needing to stop in a lay-by, for a quick wipe around with the magical wet wipes, a change out of clothes into daddy’s spare t-shirt and a hope that the rest of the journey would be ok! 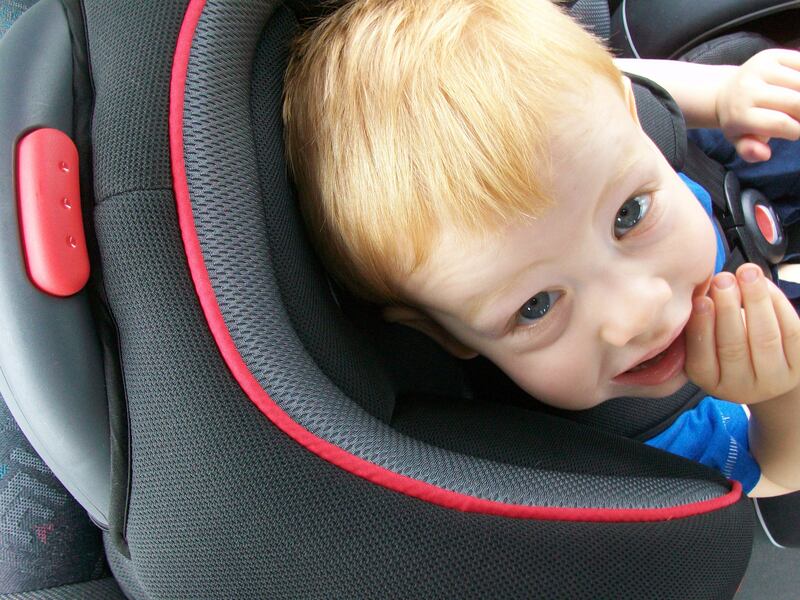 So how did the Graco Nautilus Carseat cope – well; brilliantly actually!! It was wiped down very well by the wet wipes, certainly enough for us to re-strap in the little man to make it home! Then at home (following the instructions) the padding was removed and cleaned using a cool wash, and it came up sparkling, well not sparkling as such, that may have been strange as it didn’t start that way, but it was brilliant, the padding is all now back in place smelling as fresh as the day it was delivered! A big ★★★★★ for the ease of cleaning this seat!! 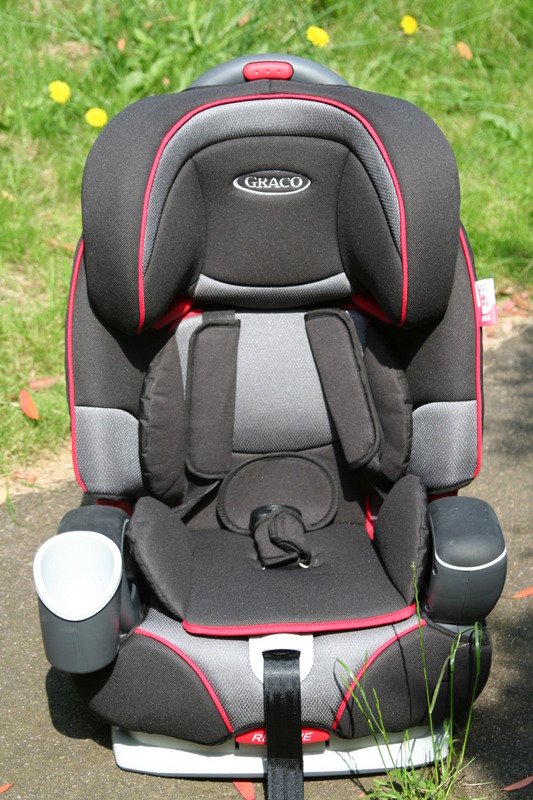 Here it is; the post about actually using the Graco Nautilus 1-2-3 car seat! 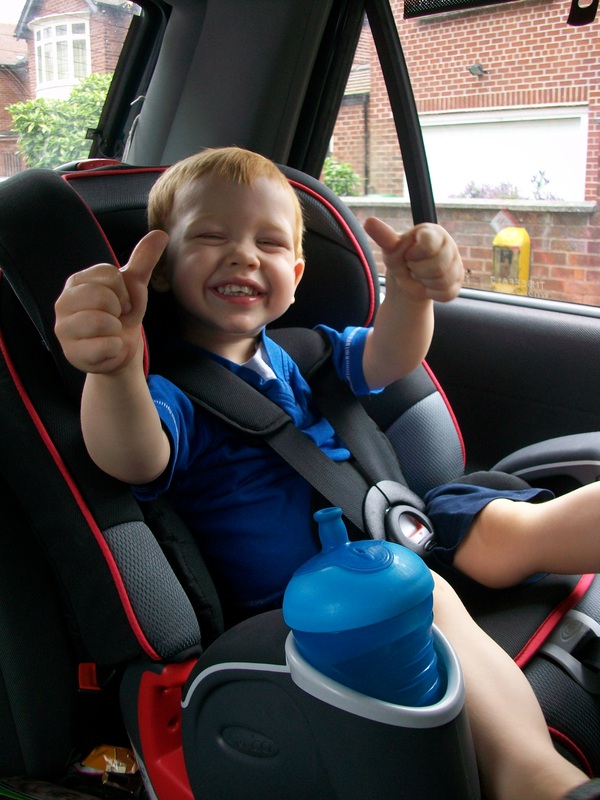 Fixing him into the seat was easy, arm in, arm in, buckled together, click in and tighten – nothing unusual or difficult to it, just belted up and ready for the off! So we arrive, loosened the straps and got Legs (his nickname) out – all happy and raring to go! A lovely walk around the farm ensued, it was a wonderful day in the sun, feeding goats, seeing reptiles, playing on tractors and eating ice cream, when it came time to go, Legs was strapped back in for the return journey! Only one slight hitch – all of that fresh air induced a need for sleep into a previously very energetic little boy – so a few minutes down the road he fell into slumberland, unfortunately the seat stayed upright on trying to recline the seat, so it wasn’t the best for sleeping in! However, I don’t know if this is because of the seat or our car! So that was it a journey made in Legs’ ‘new chair’, he loves it – especially the cup holder, which we have found can also be used for food, sunglasses, toys and various other things – the chair gets a big thumbs up!! So part two of our Nautilus journey, the fitting stage. 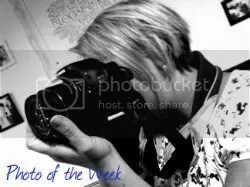 This for me was easy, as I got my hubby to do it! Instructions – My hubby, in true style of most men, usually side steps the instructions preferring to guess how something goes together, however as we are testing the Nautilus he thought he would do it properly and check them out. On looking at them he swiftly got on with putting the chair together, the instructions were not too long and were easy to follow! Easy – Having found the instruction booklet fine, we were led onto the putting together stage and after a very simple clicking in the upright position and a clicking of the headrest into place the stage was completed – Easy! Hmmmm – Well, this is where it got a little tricky, our car, in the politest of ways, is more a family car for mice than elephants, small is the correct term I suppose, but we prefer cute!! Anyway, looking at the Nautilus and the car you would think, no way! The fitting was a little tricky, but this says more about the car than the carseat. Once hubby had positioned himself right the chair was fitted and ready to go! Done – The ‘there it’s done’ came a lot quicker than I had expected, I truely expected some grunts and groans about putting it all together, but they didn’t come! We are now ready for traveling, keep your eyes peeled for a trip with us very soon! I have been selected as a tester for the new GRACO Nautilus Carseat (Group 1-2-3), you will be able to follow my families’ journey with it here, twitter and more! Once upon a time there was a family of four, they were selected to try out a carseat and it all began when a big box was delivered! It was like Christmas had come early – Mummy was excited at the prospect of a new item to test, Daddy was geared up to set about fitting his new ‘gadget’ and the two year old was soooo excited about his new chair that had a space for his drink!!! The baby was not so bothered by the whole thing, drifting in and out of sleep – well she is only 12 weeks old so can be excused! So the package was opened and the delightful looking chair was revealed, Mummy’s first thought was that it was big, but actually the term should of been grown up! It is no bigger in bulkiness than the group 1 chair already used and this one covers group 1, 2 and 3 (It goes form 9 months old to 12 years!). It just looked more like a seat than a baby chair! The two year old is very impressed and can’t wait to get it in the car to use! 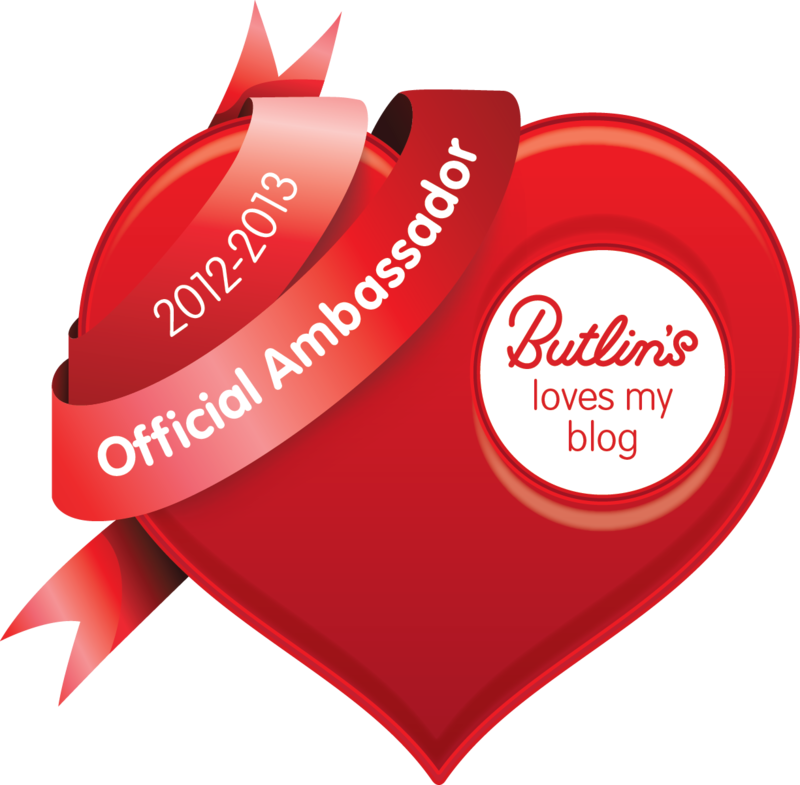 Look out soon for a blog about fitting and our first journey with it!! !